BioUtah is proud to announce that PolarityTE has opted to become a Legacy Member of BioUtah. PolarityTE joins Zions Bank as one of only two companies, and the only life science company, in this top category of membership. "We appreciate not only the support of PolarityTE but also the significance attached to this increase in their membership status," said Kelvyn Cullimore, president and CEO of BioUtah. "We commend Dr. Denver Lough, and his team, for their vision of Life Sciences in the state of Utah and the role BioUtah plays in being the industry voice. We would welcome all members to similarly evaluate their level of support in 2019 and seek ways of further supporting the efforts of BioUtah through enhanced membership and support of BioUtah events." PolarityTE is a commercial-stage biotechnology company focused on transforming the lives of patients by discovering, designing and developing a range of regenerative tissue products and biomaterials that allow for the regrowth of human tissue. The company aims to challenge current standards of care by bringing true regenerative medicine to healthcare through its understanding of how cells across the body work and how they can be deployed to regrow where needed. The company’s initial product, SkinTE™, is the first commercially-available autologous, homologous product that regenerates full thickness skin, including hair follicles and glands, and is designed as an alternative to skin grafts and skin substitutes. The product, which is produced using a patient’s own tissue, is intended for the repair, reconstruction and replacement of lost or damaged skin due to burns, wounds, injuries, surgical reconstruction, scars and failed skin grafts. The company’s second product, OsteoTE™, a first-of-its-kind autologous and homologous product that regrows bone, was recently registered with the U.S. Food and Drug Administration. “Regenerative technology has advanced to the point where the healthcare industry can begin to move away from standards of care that involve manufactured, artificial materials or the traumatization of human tissue, such as we see with skin grafts. We are at the forefront of that shift. Our goal is to develop products that offer more than treatments, but functional solutions based on the human body’s ability to repair itself,” said PolarityTE founder, chair and CEO, Denver Lough, MD, PhD. 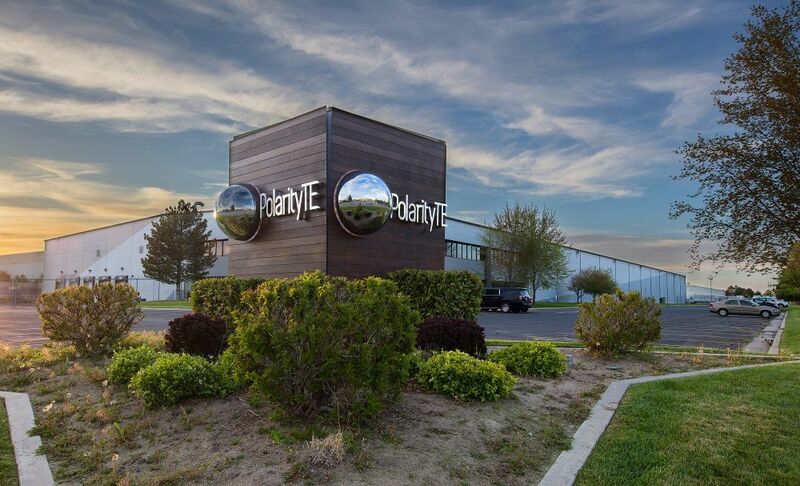 The PolarityTE® platform technology begins with a small piece of a patient’s own healthy tissue that is harvested and shipped to the company’s Utah-based manufacturing facility. Within 24 hours, the company creates an easily deployable, dynamic and self-propagating product that, when applied on a wound, stimulates the patient’s own cells to regrow full-thickness, fully-functional tissue. PolarityTE chose to headquarter in Utah because of the incredible opportunity to join a growing and thriving life sciences ecosystem. In less than two years, the company has grown from 12 doctors and scientists to more than 150 employees, most of whom were pulled from the impressive talent pool in Utah. The company’s facilities include roughly 212,000 square feet of R&D and manufacturing space in Salt Lake City and Logan, as well as new corporate headquarters near the Salt Lake International Center.